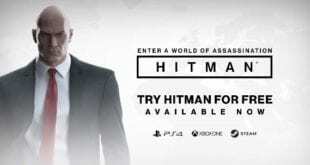 Hitman Patch Adds "Offline Profile"
Hitman has a new patch and is out right now. This new update adds new features that are listed below. One of the main features of this mandatory update is the “Offline Profile” which puts all the items you have collected during an online session and make them available offline. This works the same for all weapons and gear, as weel as Challenge Pack unlocks and target rewards. With the new patch you can add checkmarks to an opportunity when it has been completed. This is done in order to make it easier to track the progress against challenges. Hitman’s statistic page has a new design that shows the status as it is related to challenge completion and overall completion. The update also changes the background of the pause menu to show in the game moment. There are also meaningful bug fixes regarding the chapters of the episodic game, including the most recent one, Hokkaido. Some major fixes are also taking place in the missions in Paris, Sapienza, Marrakesh, Bangkok and Colorado. New studio logo is now in the game, as well a sound effect that starts to play when you unlock a challenge. In addition, this update will need 2.4GB on PS4, 13.6GB on XBox One and 2.1GB on PC. It is not clear yet why Xbox One patch size is so big. The newly released patch for Hitman will fix som PC issues where the framerate could stutter during combat, primarily on DX12 setups. Also, the cinematics between mission now drops to 19fps. This is so far the first update in a series of big updates coming to Hitman that leads up to the game;s physical release in January. Developers are saying that they want to create a game with major component and releasing new content each week so the players will get the best experience. 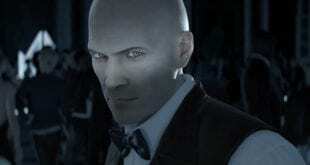 Hitman patch will come out next month, but unfortunately, I don’t have any info about what will be included. What I know is that will be a new experience for the players. Issues, when the game crashes or becomes unstable across all locations, are now fixed. Functionality to mark an opportunity with a checkmark is added. This will make it easier to track competition when you try to achieve trophies linked to opportunities. A lot of players are waiting on a patch that will remove the always online DRM completely. I hope this will be added in the developer next patch notes list. Until then stay with us and we will keep you updated.